Ready to try a new genre? Earlier this week we hosted Jonathan Putnam and Art Taylor. They’re both mystery writers, however they occupy a niche different than ours – Jonathan with historical mysteries and Art with a focus on short fiction. 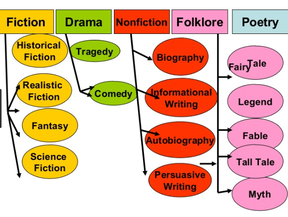 As the week went on, I found myself thinking about plot lines outside of the mystery genre. My question to you is: if you chose to write something ‘different’ what would it be? I often feel a pull toward historical fiction (not in the mystery genre, although at the heart of every story there is a mystery) and, in particular, a big epic. Maybe even a multi-generational, multi-country sprawling story. Anyone else feel the pull? ROBIN: I’m with you, there are always mysteries, regardless of the genre. Without questions, there are no conflicts, thus no story. I sometimes feel a pull towards literary fiction, something family-drama-ish. It’s been fascinating reading my parents’ letters to each other from the time they were dating up through their honeymoon. The letters answered some questions about my own family’s history while raising new ones. All of it is fodder that I’ll use in present and future works. MICHELE: Yes! Not only do I feel a pull, I had a fictional woman named Elise whispering in my ear, pestering me constantly, until I told her story. I wrote an entire romantic comedy about her, fully enjoyed the experience, but never named the book, nor did I shop it. What’s with that? I love a romantic farce! (Aren’t most love stories farcical?) What do you think about Elise? Shall I excavate her from the bottom of a desk drawer? Or let sleeping lies lie? Then, there’s Madeline who’s begging me to tell about her adventures as a domestic servant for Boston Brahmins on Beacon Hill after fleeing Ireland. I hope my fellow Miss Demeanors also hear voices and that it isn’t just me. SUSAN: I came to being a mystery writer after having spent ten years as a short story writer and then another ten years as a literary fiction writer, if it is respectable to describe oneself as that. Writing mysteries was my secret pull all those years, and I’m so glad I surrendered to it. Michele, I’m very intrigued by Madeline and would love to hear her story. ALISON: I feel as though I’m baring my soul: one of my guilty pleasures is watching shows like “Odd Mom Out” and “Keeping up Appearances,” (Anyone else love Hyacinth Bucket, oops, Bouquet? ), as well as the supposedly more high-brow “Upstairs Downstairs” and “Downton Abbey.” I love fluffy stories layered on top of denser questions about the dynamics of socioeconomic class. I’ve written half of a mystery based on the idea of a mother who goes a little off the rails when her perfect child does not get into the perfect school. I wouldn’t have believed applying to independent schools in Manhattan could really be so dramatic if I hadn’t gone through it myself. Don’t get me wrong. Most people are lovely and wonderful, but the ones who aren’t…well, let’s just say there might be some justifiable homicides out there. CATE: I would love to write a magical realism / dystopia book about a suburban American mom who keeps seeing signs of the apocalypse as she has to go around living her regular life. It would start with an odd chalk sign that she sees exiting her local coffee shop. She would keep going throughout her mundane week, all the while the signs would be building up. The protagonist would occasionally hear things on the television or the radio that would be clear evidence. But she’d keep ignoring them because she lives in a bubble and is relatively happy in her contained world. It would end with a flood and fire, and some greater commentary on interconnectedness and willful blindness and the struggle between individual survival and collective awareness. Maybe someday. I’m not mature enough to write it now without it being awful. Also, I’d probably need to reread revelations and ain’t nobody got time for that at the moment. ALEXIA: I would love to write a science fiction novel along the lines of Blade Runner or RoboCop. Of course, both of those are police procedurals set in the future so maybe writing a sci-fi cop story isn’t so different from writing mysteries after all. I’d also like to write a middle grade fantasy novel with a princess who saves everybody instead of waiting to be saved, historical fiction about the Black professional middle class in the first half of the 20th century, and a good old-fashioned ghost story. PAULA: I write a lot of nonfiction, and enjoy it, especially the books on writing and mindfulness and creativity. But I’d love to write women’s fiction someday. In my dotage…. TRACEE: Glad to hear I’m not the only one who hears (in Michele’s words) voices in my head….. all those characters who try to pull me into stories I’m not quite ready to write. I’m going to keep an eye on Cate and see if she is carrying Revelations around. First sign of a breakout into a new genre! (Paula, I hear your voice whispering in my ear….. establish yourself and then branch out! Don’t splinter too early! Good advice.) Anyone else out there ready to break type and go out on a writing limb? Smarter Writing? Practice Every Day (or just about). Smarter Writing? Try a Timer.